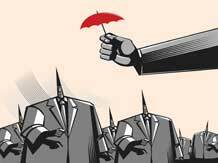 Private insurers may reduce exposure to non-retail motor insurance - Corporate Risks India Insurance Brokers Pvt. Ltd.
Insurers’ claim ratios have even exceeded 150 per cent in certain periods in this space meaning that the claim amount exceeded the premium collected. Private general insurers are looking to reduce their exposure to commercial vehicle motor insurance, owing to high claims in the segment. While third party insurance is mandatory for motor vehicles, own damage insurance is optional. The chief executive officer of a mid-sized general insurer explained that several of them have begun to focus to private cars rather than commercial vehicles. Since third party insurance pricing is controlled by Insurance Regulatory and Development Authority of India (Irdai), every year the premium is revised. However, keeping customers in mind, the regulator does not make very steep hikes in premia. Claims and court decisions or awards have seen a 30-per cent rise year-on-year. “Commercial vehicles’ claims are directly affecting our books. Hence, it is imperative that we go slower in this segment,” said the head of underwriting at a general insurance company. The regulator had also proposed that every insurer, during a financial year, shall underwrite such minimum percentage of the 90 per cent of the overall motor TP insurance business premium of the industry for the immediate preceding financial year. Here, the minimum percentage so decided shall be equal to the simple average of insurer’s share in total gross premium of the industry and that in total motor insurance premium of the industry, both in the immediate preceding financial year. For instance, if an insurer’s share in total gross premium is five per cent and its share in motor insurance premium is 10 per cent, the average here would be 7.5 per cent, which would be the minimum percentage. Hence, this insurer would have to underwrite 6.75 per cent of motor business (7.5 per cent of 90 per cent) in that year. Also, it was prescribed that no insurer shall refuse motor TP cover to any individual/entity that approaches them. Motor insurance consists of third-party and own damage segment. While TP covers liability for third-party accidents, own damage covers damage to own self and vehicle. It is expected the obligation of the insurers to underwrite motor TP risks based on a broad approach taking into consideration several relevant factors would ensure equitable distribution of this responsibility. Even after the third party pool for commercial vehicles was dismantled and declined risk pool was set up, the woes of general insurers are far from over. Combined ratios (ratio between premium collected and claims paid) for the motor insurance segment, have stood between 150 and 160 per cent for the industry. While motor policies are being envisaged for the segment, general insurers are wary of these products, especially in commercial vehicles category, since it is understood that pricing cannot be revised in the midst of the policy being in-force. It is estimated that the combined ratio for motor insurance might even cross 200 per cent by FY17, on the back of higher claims, especially from commercial vehicles. The Road Safety and Transport Bill has proposed a cap on liability for road accidents under a standard TP insurance cover, customer groups and lobbies representing truck drivers and other transporters are against this. At present, there is unlimited liability for road accidents.